TRAINING COURSES EXPAND AROUND THE GLOBE – Specialty Products, Inc.
Yokohama, Japan – Koyu Facilities, a Specialty Products, Inc. client promoting SPI coatings throughout Japan, hosted their first Advanced Applicator Equipment Training Course, September 28 through October 2, 2015. With a similar culture and vision to that of Specialty Products, Inc., Koyu’s team is diligently working to promote education in the coating industry. The increased demand for high performance coatings such as Specialty Products’ has increased the need and desire for high quality training courses in Japan. 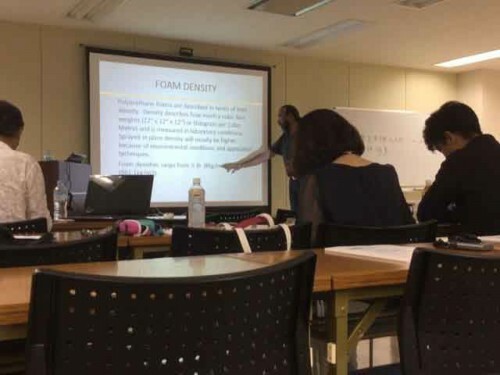 These courses embrace many elements in the operation of various plural-component spray equipment proportioners, spray guns, surface preparation of a multitude of substrates, as well as product education; all to ensure successful applications of polyurea and the ultimate success of their applicators in Japan. Benny “Benjy” Abbott, a NACE certified coatings inspector, teaches a segment on polyurethane spray and pour foam attributes. The training course was instructed by Benjy Abbott of Abbott Consulting & Coating Inspections, one of the most respected and renowned experts in polyurea applications and equipment. Abbott holds NACE and SSPC certifications, and is the current President of The U.S. Polyurea Development Association. Benjy’s many years of expertise in the coating industry, coupled with his commitment to conduct these valuable educational training courses, continues to increase the awareness and advancement of polyurea around the world. Abbott also instructs Specialty Products, Inc.’s Advanced Applicator Equipment Training Courses in the U.S. These courses are beneficial to new and existing applicators, contractors, Engineers, and Architects, and are offered in Texas, New Jersey, Illinois, California and Washington State. Please visit our website at www.specialty-products.com for a complete schedule of our remaining 2015 training courses, or to download enrollment forms. 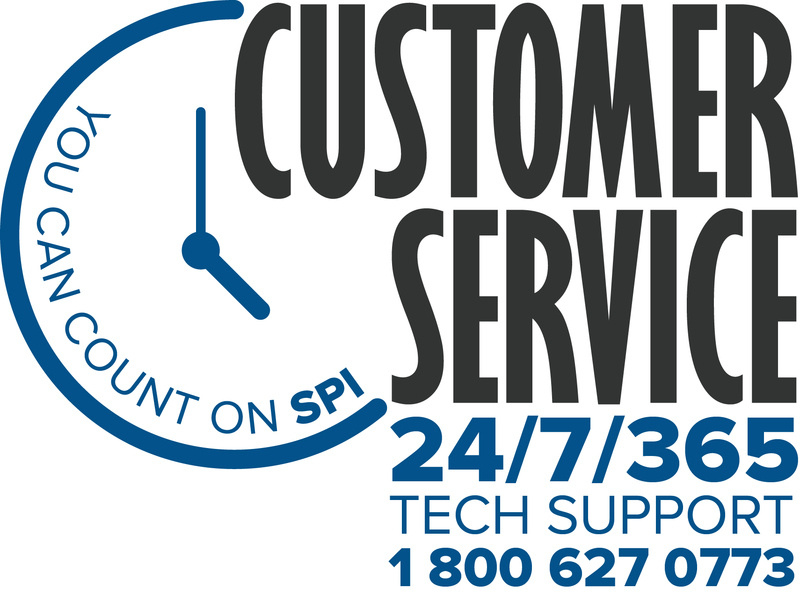 On-site training at your facility is also available; please contact your SPI representative for more details.